Lesley’s sketch at Merry Monday tested me this week – I guess that’s why they call them challenges! 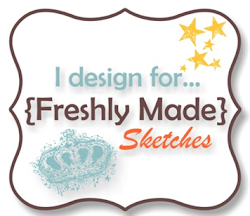 I think this may’ve been the first time I’ve used Stampin’ Up!s Medallion stamp. It’s probably retired but I don’t even know (shocking of me not to know this, but I left my catalogue in the car and it’s too cold to go and get it!). I’ve used Silver embossing powder for the Medallion image as well as the baubles and to finish it off, I tied a bow with some Basic Black Taffeta ribbon. 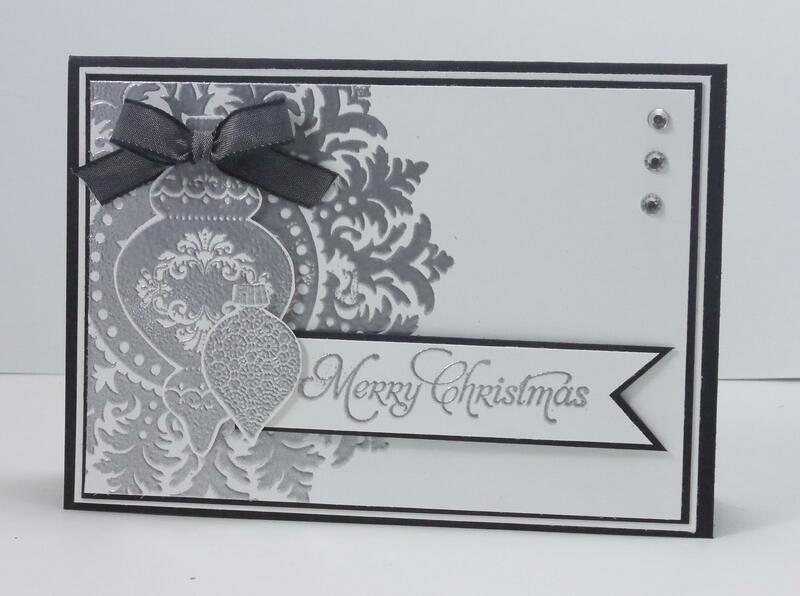 Gorgeous and elegant in silver embossing. Love the ornaments and it was a great idea to use the medallion. Thanks to all of you for letting me be Guest Designer this week. Love your creative take on the sketch this week. I like the silver embossing, very elegant. Beautiful card Narelle, your ornaments are so elegant. Absolutely stunning! I love your card and all that embossing. Love how you used the medallion image and added the ornaments. Great take on the sketch! This is so elegant with all the silver, Narelle! Just beautiful! Total gorgeous-ness! 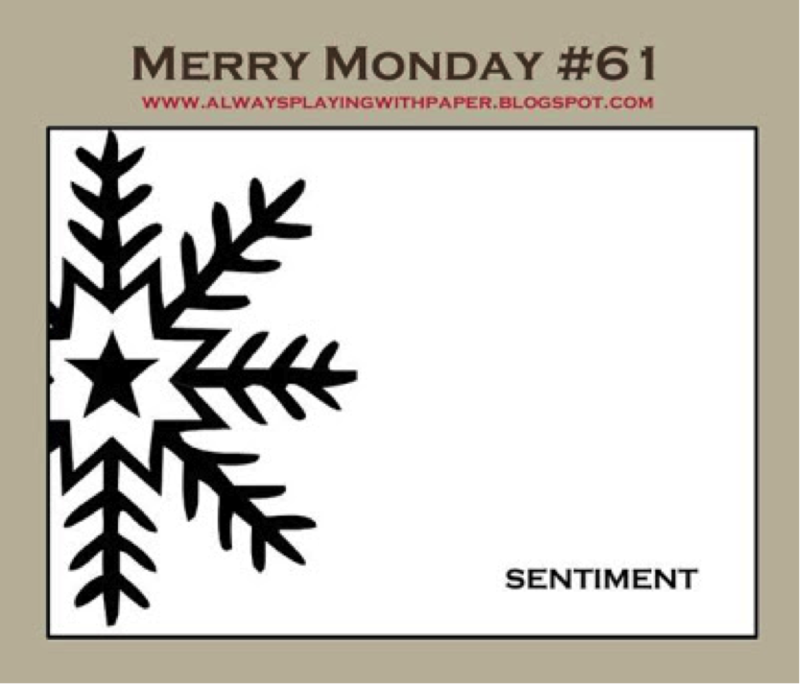 Love the silver embossing and your sentiment flag! Fabulous take on this week’s sketch, Narelle! You knocked it out of the park…you did an amazing job with the sketch. Love it! Oh my! Another gorgeous creation, Narelle! You never cease to amaze me with your beautiful ideas. I love the medallion stamp combined with the ornament and the embossing really pulls everything together. Stunning! Gorgeous card, love the layers!